On Saturday February 23rd we will be having a drive and dine to the Eatery at the Depot in Branchville. The Palmetto Region’s 50th Anniversary Celebration (Sponsored by Porsche of Hilton Head), including social hour, dinner, door prizes, silent auction of many items of interest, and program with special guest speaker Alois Ruf will be held in historical old village Mt Pleasant at Alhambra Hall on April 27th. The 2018 Holiday Party will be held on Saturday, December 8th at 5 pm at the Ravenswood Plantation Party Barn (Johns Island off Chisolm Road). It will include a buffet dinner and holiday gift exchange. and the community of owners and enthusiasts who share our passion. Join us at Hilton Head Porsche. 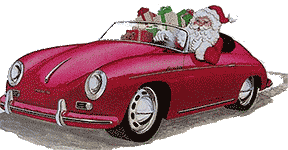 we will have cars on display from Porsche Club of America, birthday cake, German fare, music and more. Click here for the Event Flyer wth all the details. On Saturday, May 12th, the Annual Beach BBQ Picnic will be held at Huntington Beach State Park Pavillion #3 at Noon. Please join us on Tuesday, April 10th at 7 pm at 843 Korean BBQ & Sushi House (Private room! 6601 Rivers Ave, North Charleston, SC 29406) for updates from the officers, to talk about upcoming events, and to socialize with your fellow Porschephiles. Join Palmetto Region on March 24th for a visit with some our reptillian neighbors at the Edisto Serpentarium and lunch on the Island. We will gather at the Bank in the Publix parking lot at Main Rd and Hwy 17 at 9:30am and depart for a nice ride to Edisto at 9:45am. Following the serpentarium visit we will proceed to Edisto for lunch.